If you are a past or current legislator or if you have ever officially declared a run for such an office, please Click HERE to go the the Redress Commitment Page. After you click the link above: you will find the signature form located at the bottom of the commitment page. Please sign the form to show your support for the restoration of the Redress Process as evidence in the Senate and House Journals found (below) at the Secretary of State’s Archive Division. Before your name appears at the following link, you will have to confirm your signature through an email reply to/from that website. If you don’t see it in your email inbox, check your spam folder. 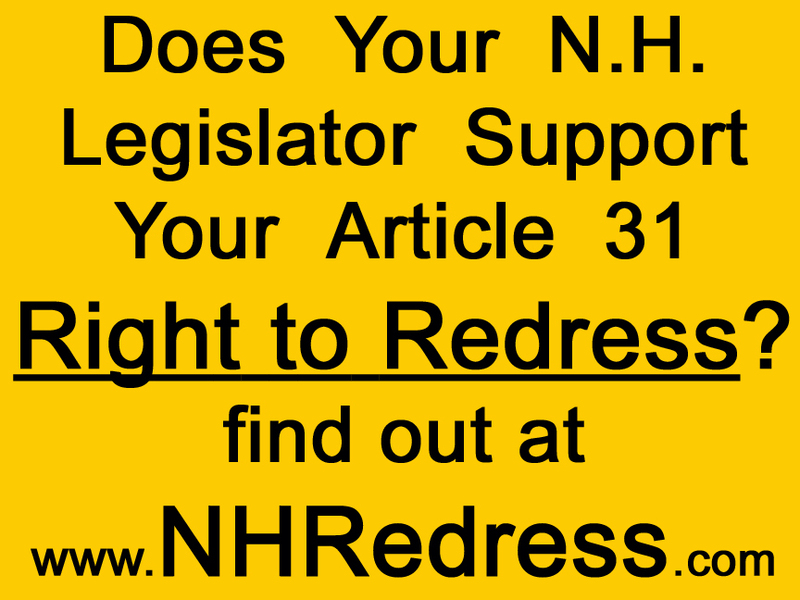 Contact us at petition@NHRedress.info if you need assistance. Click HERE to see the names of the Legislators and/or declarants that have already committed to support Article 31/32 Redress and have thereby committed to Honoring their Oaths of Office.